Crown pendant, just in time for Mardi Gras This 14 karat rose gold necklace dons a rose gold and diamond royal crown pendant fit for a queen. Tahitian Carved Pearl Pendant by Galatea This 9mm carved Tahitian pearl pendant features the sparkle of a .04 carat diamond and is set in 14 karat gold. It is carved in the “Harlequin” pattern. 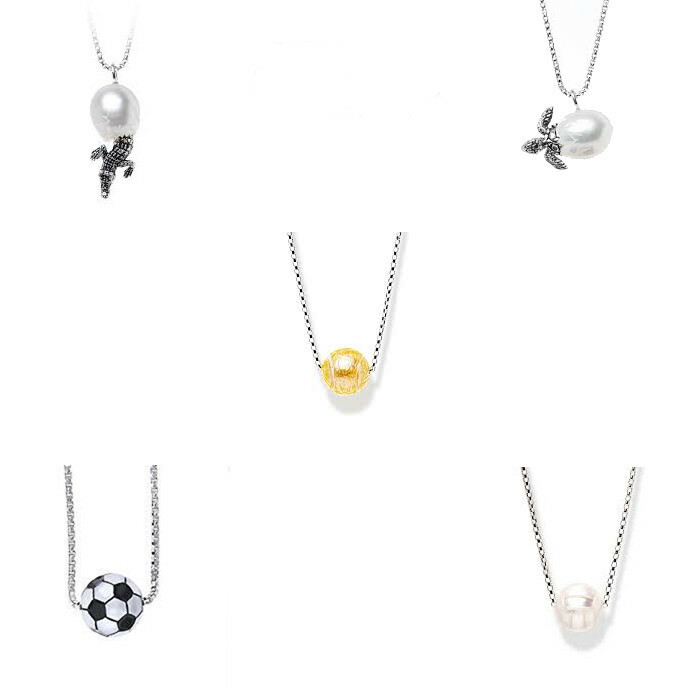 Galatea Diamond in a Pearl Pendant The gleam of 14 karat gold contrasts with the lovely color of a 9-9.5mm freshwater pearl, surmounted by a scintillating .04 carat diamond set right into the pearl itself. 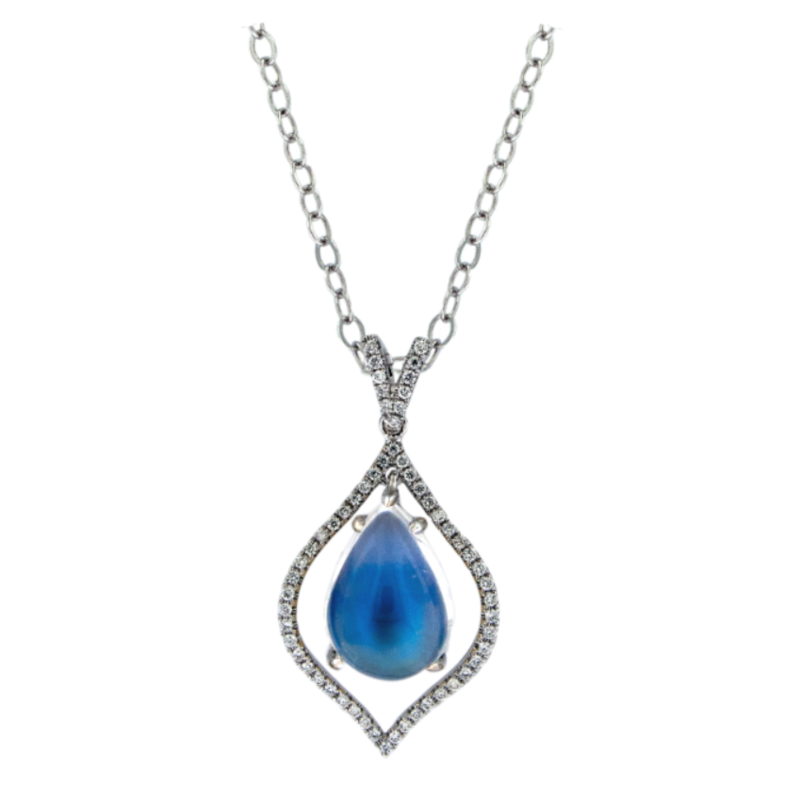 Visit our showroom in downtown Gulfport to view the Diamond in a Pendant Collection by Galatea. The King approached the jewelers at Pav & Broome Fine Jewelry with the request to appropriately adorn his Royal Court. 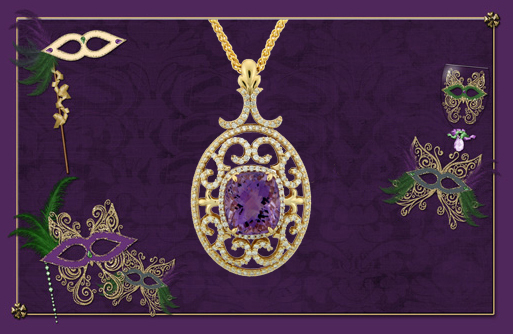 It was with great pleasure we were able to design and create these unique amethyst and diamond pendants for the Captains’ wives. 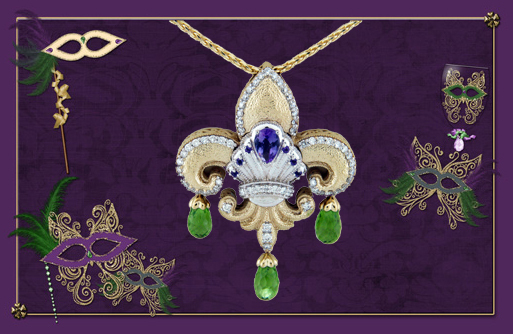 Let us create the perfect adornment for the royalty in your life. The King approached the jewelers at Pav & Broome Fine Jewelry with the request to appropriately adorn his Royal Court. 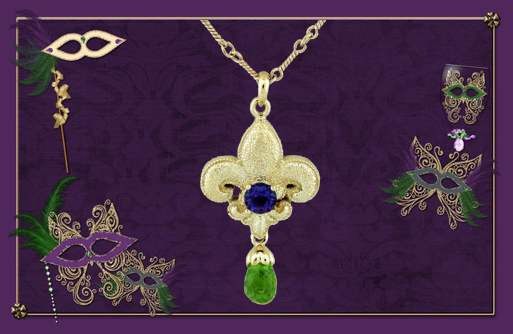 It was with great pleasure we were able to design and create this one-of-a-kind emerald and sapphire pendant for his Queen. 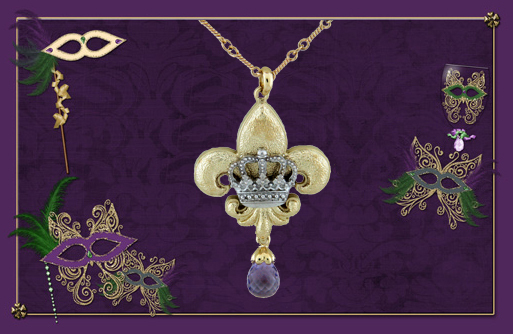 Let us create the perfect adornment for the Royalty in your life.